"The threat is gaining ground." "It's no longer just the Sahel, it's coastal West Africa and the risk of spreading regionally." "The U.S. refocus, which has taken resources away from Africa, is shortsighted and in contrast to the long game being used by abusive Islamist groups." "We are going to bring back security everywhere. I can't tell you how, or get into the details, but there are different plans being put in place." "In some areas we are already able to re-open, in others we are closing, so the strategy varies depending on the location." "For years we had an army whose purpose was to defend a regime and not protect a territory. There was a deal with the government in place that enabled terrorists to get safe passage and treatment here in exchange for leaving the country unharmed." "We have gone from a phase where we were victims of attacks to a phase where we are on the offensive, going into those areas to clear them out of those terrorists." "A lot of schools have been torched. Teachers have been attacked and some even killed." "When a teacher is killed, no-one does anything - so we have to save ourselves." "When children miss out on school - especially in times of conflict - not only are they unable to learn the skills they need to build peaceful and prosperous communities; they also become vulnerable to horrific forms of exploitation including sexual abuse and forced recruitment into armed groups." 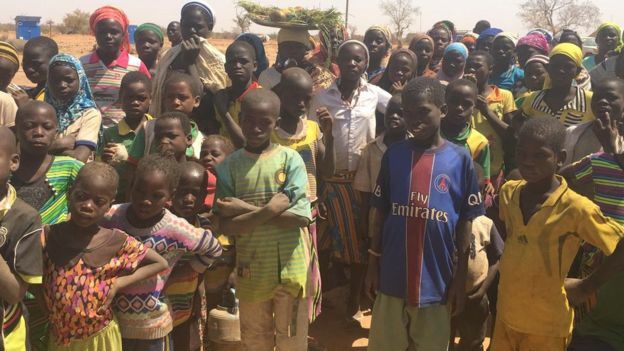 In Burkina Faso's most recent violence upsurge, three regions -- the North, the Sahel and the East - bordering Mali and Niger where jihadist terrorists have operated for years, half of the schools in the region have been forced to close for safety reasons. In the Sahel, in the province of Soum alone, 352 schools are closed, leaving over 150,000 children without classrooms. This, in a country where education for children is sub-optimal to begin with. In 2015, 57.9% of children in the area finished primary school. Violence is surging upward with the proliferation of attacks by Islamist groups associated with both al-Qaeda and Islamic State affiliates, preying on the population. 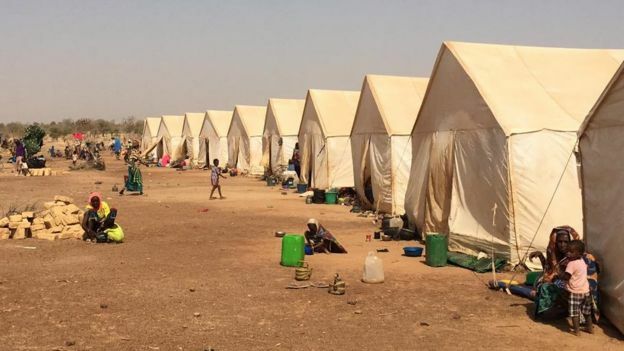 Apart from that source of instability and fear, there have been violent attacks between ethnic groups as well, resulting in tens of thousands of additional internally displaced people. In December of the past year, the number of displaced stood at 43,000; a month later that number rose to 100,000, living in displaced persons camps. U.S. President Donald Trump's order that most U.S. troops are to withdraw from Syria and from Afghanistan has extended to withdrawing American commandos and other forces from West Africa. At a time when increasingly deadly attacks are taking place by Islamist terrorists, unnerving African commanders in Burkina Faso and other countries in the Sahel, a huge sub-Saharan area threatened increasingly by bombings, massacres, kidnappings and attacks on Westerner-frequented hotels. As Special Operations forces pull back, they will do so at the very time when Islamist terrorists are on the rise. Local and allied forces are faced with the prospect of holding off the Islamic State, al-Qaeda and their offshoots on their own, where they have been reliant on aid given them by American troops. Mr. Trump's reasoning is that the continent is a long way from America, and he is fed up with his country being the world's major bulwark against terrorism. It certainly would seem to make more sense for a united African force to do the required work of maintaining security in Africa. "It's a real problem", remarked Colonel Major Moussa Salaou Barmou, who commands Niger's Special Operations forces, contemplating the drawdown and closure of seven of eight American elite counterterrorism units operating in Africa. The scale-back amounts to an 25 percent reduction mostly taking place in the African continent's west even while terrorist groups attack northern Burkina Faso, pushing south to the border with Niger and areas previously free of extremist violence. Those areas include the Ivory Coast, Benin, Togo and Ghana, where a logistics hub for the U.S. Defense Department is in place. A month ago two boys were kidnapped by extremists while praying at a mosque nearby a school in the village of Bargo despite a concrete wall built around the building for protection. Parents fear for their children's welfare. "We are very scared", Christine Kabore Ouedraogo, a political leader in the village stated. Formerly the colonial power in West Africa, France has maintained 4,500 troops in the region in aid of confronting the terrorists in Niger, Chad and Mali where al-Qaeda was routed from the north in 2013 by French and Malian troops. European and African partners of the U.S. military carry out most counterterrorist missions from the Sahel to Somalia while the U.S. provides air power. This year 24 airstrikes were carried out against al-Shabab targets in Somalia, a marked increase from 2018. There is approximately 6,000 American troops and a thousand Defense Department civilian or contractors who work throughout Africa at present. 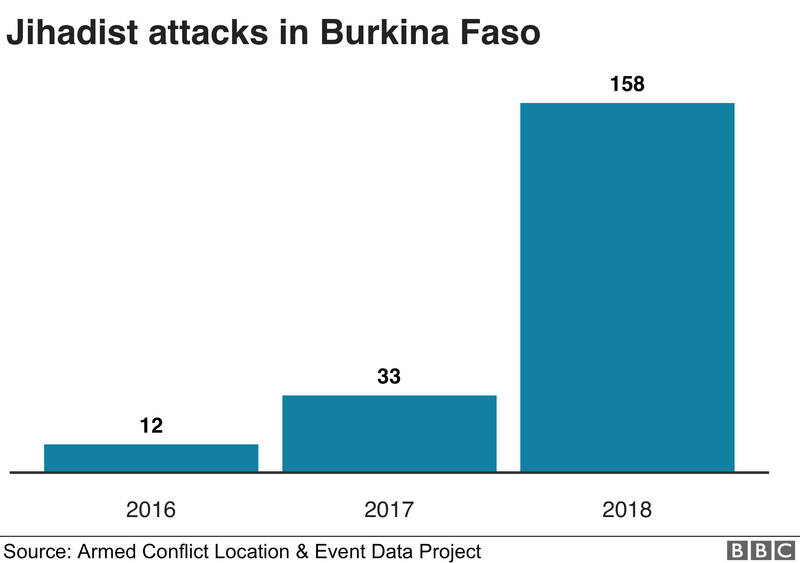 A recent increase in terrorist attacks coincides with the drawdown, however, where in Burkina Faso alone, Islamic State and al-Qaeda affiliates struck 137 attacks in 2018 a substantial increase from the dozen that took place in 2016, according to the Africa Center for Strategic Studies, so it's clear they're gaining strength in numbers. 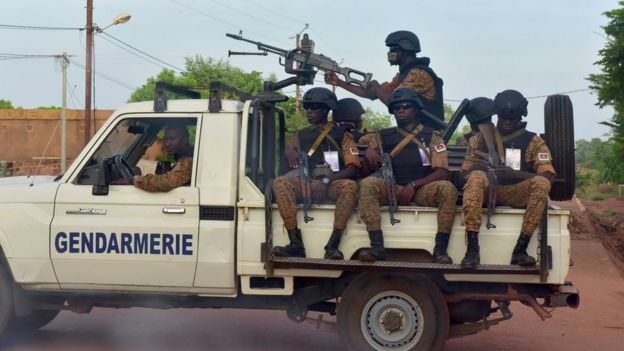 Military analysts and human rights groups identify the major reasons for the spiral of violence in Burkina Faso and its neighbours, related to French-led counterterrorism operations in Mali having the effect of ridding the areas there of the presence of the Islamists who have flooded south and in the process exploiting grievances within the local populations. The armed groups have been busy attacking government buildings and schools as well as gathering places such as cafes and shopping areas, taking special pains to execute any they suspect of collaborating with authorities.